Clay pots are a versatile art medium. You can make a clay nutcracker figurine with five or more flower pots. These clay figurine pieces will be painted in the colors of your choice. They can be used out of doors or inside as a holiday or year round decoration. The clay pot figurine can be used for a stand alone whimsical sculpture or a plant or bouquet holder. 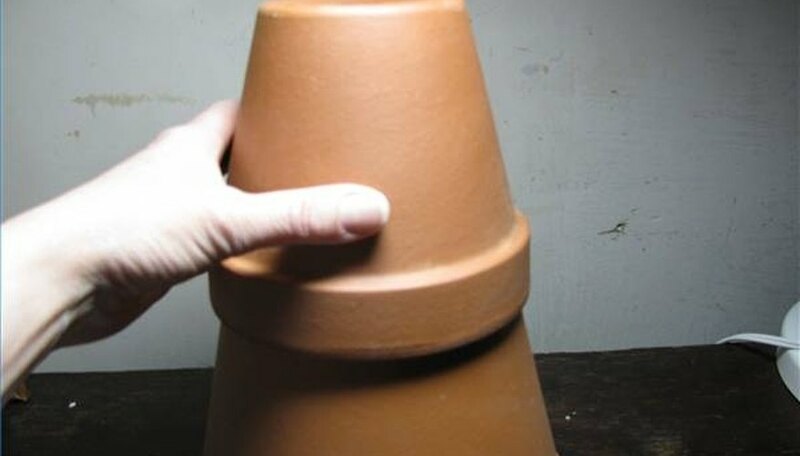 Stack clay pots to see what sizes you want to use and how many you need. 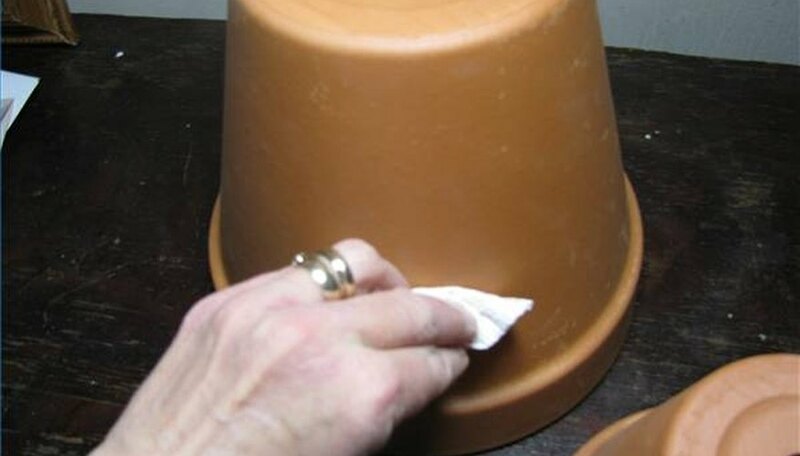 Clean the pots thoroughly with a soft cloth. Turn the large bottom pot upside down on a newspaper covered work surface. 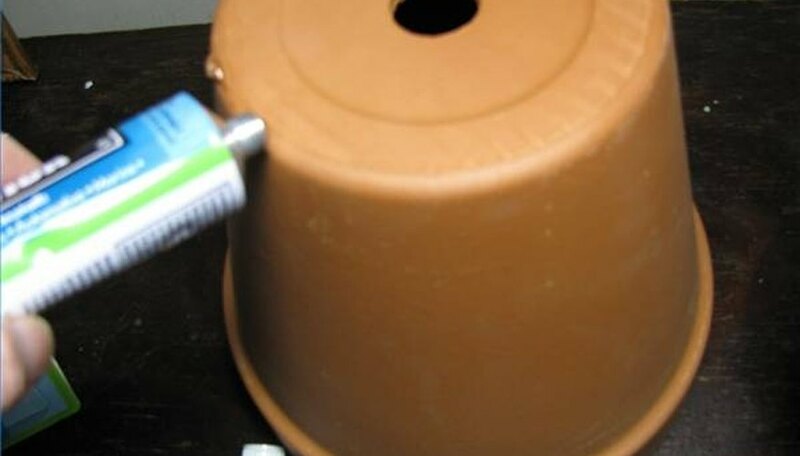 Run adhesive around the outer top of the pot. Place the second largest pot on to the adhesive. Hold it steady for a few minutes and adjust it to be sure it is even. Place an upside down saucer on top of a pot for the waist line area. Add pots for the chest area, head and a hat. Use a saucer for a hat brim. If you want to be able to plant flowers or arrange flowers in the top of the nutcracker figurine turn the hat (top pot) right side up without adhesive to allow for drainage. 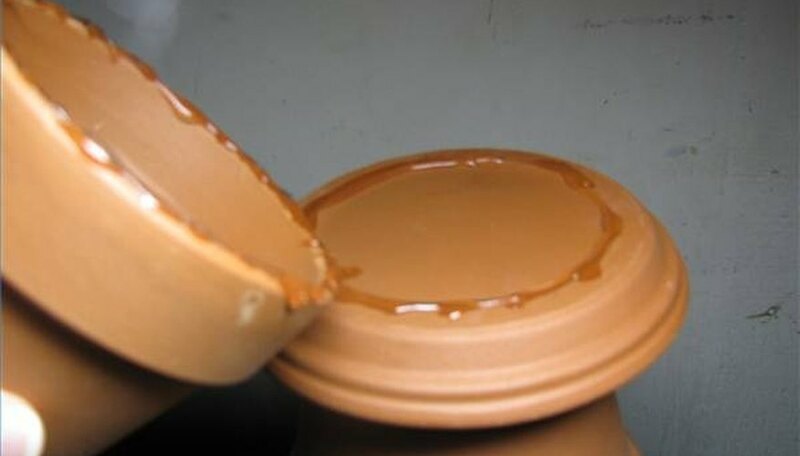 Let the stacked clay pot figurine adhesive dry for at least 48 hours. Paint the figurine with two coats of white acrylic paint. Let dry completely. Look at catalog or online photos of nutcrackers to decide what colors and features you want to have for your nutcracker figurine. Use acrylic paints to paint the figurine. Use the colors of your choice. Sketch the face on the white clay pot and paint it. Spray the figurine with acrylic sealer and let dry according to directions and repeat with more coats as needed. Choose colors and a character to personalize your nutcracker figurine.